In 2014 we took delivery of our first Q Catch. An 8300, with many of the great features we see today on the latest Arrowquip crushes but with far more grease points! It was also bright orange, with the Arrowquip branding removed but retained its 'Q Catch' headboard. This wasn't to sell on, this was for everyday use on the farm, replacing a rudimentary, over centre head yoke design. We were immediately impressed. The build quality was tremendous, far more suited to handle finishing bulls than it's predecessors. The Q Catch headgate wasn't to readjust (what a game changer!) and the speed at which we could run cattle through was fantastic. When vaccinating and weighing bulls onto the farm we could just about cut out a man and still be quicker, just by swapping out our crush. We soon set about trying to find another the same for other units, they might have been to handle fewer head but the improved safety was more than enough justification. At this point there wasn't a UK importer, and certainly not a comparable squeeze crush on the market. A quick email fired off to Arrowquip HQ in Canada was noted. In late 2017, whilst power harrowing the last few acres of winter crop ground, a phone call showing a withheld number from an Australian in Canada (?!) set the ball rolling for a new business venture. 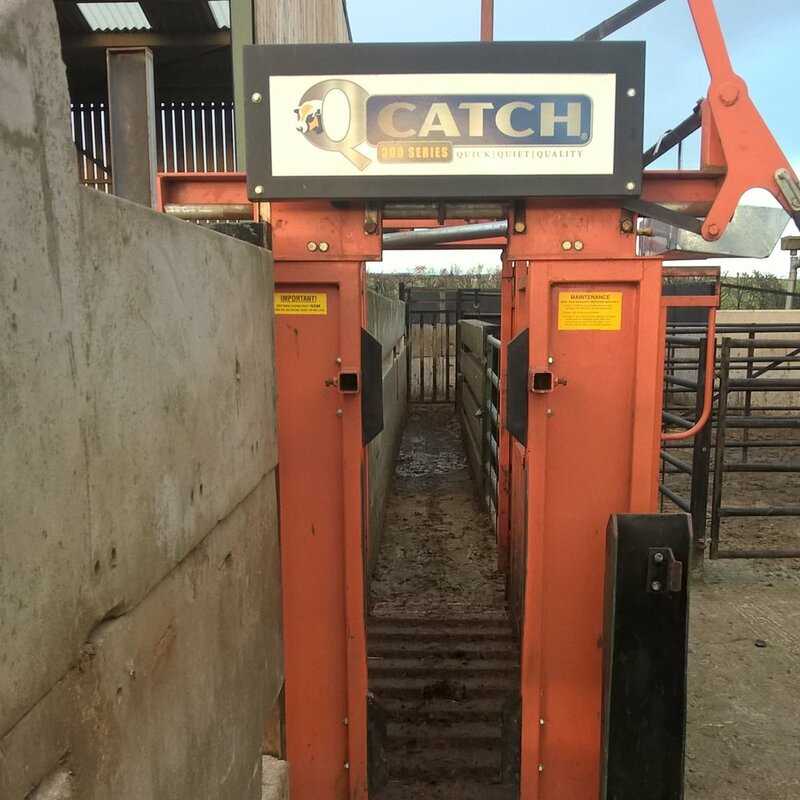 Mark Firth, son of the Arrowquip founder, was on the lookout for someone to import Arrowquip cattle handling equipment to the UK and had come across an email from North East England sent a few years previously. The first order was placed June 2018. The research had been done; every YouTube video watched, every competitors crush rattled, the team in Canada spoken to time and again to ensure nothing was overlooked. By the time the first container arrived that August, all but one was sold unseen. Since then things have gone from strength to strength. With an Arrowquip presence in the UK for support and excellent equipment shipped every time, the learning curve has been steep but smooth. The main lesson: "It's easier to sell quality products, to like minded people, when you use them yourself." Our 8300 is still in use daily, still as good as the day we installed her. The modern day equivalent, the Q Catch 8600, is practically maintenance free with just one grease point. The rubber floor is made by Goodyear and provides excellent traction and the powder coat finish ensures that it will still look the part in years to come. 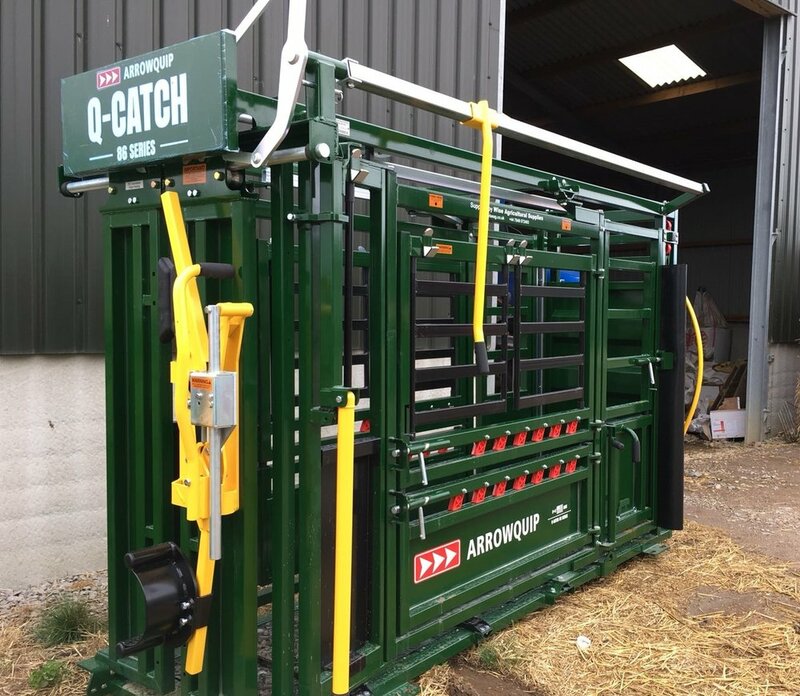 Arrowquip do not build their equipment to a cost, it's built to be safe, practical and long lasting. That's why there is a 5 year warranty on Q Catch crushes bought today.